Angela Darrah is a pro when it comes to pitching client stories to the media. But when she suspects her client is exploiting immigrant workers, she's forced to face her own prejudices and to examine herself in ways she never imagined. As Angela immerses herself in the company and the town, she is faced with challenges similar to those of the company’s immigrant workers. How will she navigate a new system and succeed in the face of obstacles and injustices she doesn’t understand? Then, when she discovers corporate actions that are unethical, possibly illegal, Angela must confront the conflict between her duty to her client and her growing passion to fight injustice. Ultimately, she must decide: What is she willing to sacrifice to help someone else? 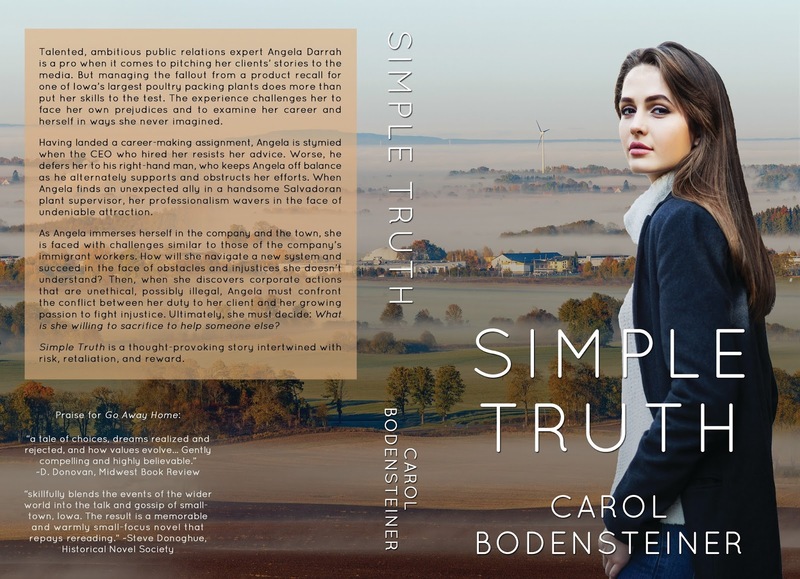 Simple Truth is a thought-provoking story intertwined with risk, retaliation, and reward. 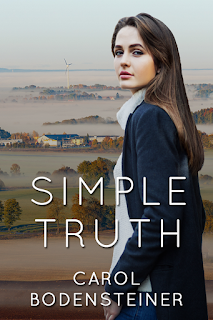 Simple Truth is on sale now in ebook and print format on Amazon. Add it to your shelves on Goodreads, and stop by Carol's website to check out her posts on writing historical fiction!